I was able to open the file and convert it to GeoTIFF in SAGA. I wonder if I am missing something in the reclassifying procedure, or something related with the format of the resulting raster. Thanks in advance for any advice. PS. I was able to use r.reclass to do what I wanted. 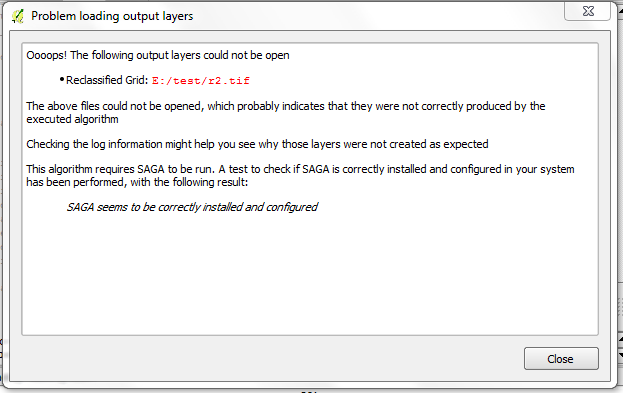 I also tested the saga reclasify algorithm in other two installations and I have the same problem. Browse other questions tagged qgis raster saga sextante-qgis-plugin reclassify or ask your own question.